The Business Entrepreneurship Associate in Science degree at MDC's Idea Center, will provide you with the understanding, confidence and relationships to turn your ideas into market-ready products, services, business and social ventures. Experience the success and satisfaction of life as a visionary entrepreneur, improving the world, creating jobs and providing a positive future for yourself and others. This degree will help you understand the context, concerns and language of entrepreneurship and prepare you to make your entry into the marketplace with your own business. Imagine developing your personal passion into a profitable business, non-profit, or social venture. Imagine learning with world-class instructors from global innovation leaders such as Facebook, Lyft and Citi. Imagine being empowered by a program redesigned from the ground up at MDC’s IDEA CENTER to prepare you for the challenges unique to the 21st Century, such as technological disruption, and changing business paradigms. 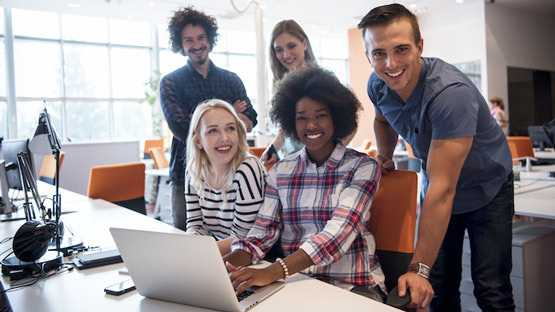 Students will learn how to recognize opportunities, convert those opportunities into economic engines, and combine digital and traditional marketing tools to brand yourself, acquire customers and grow your business. Entrepreneurs make up a diverse sector of the economy. Most businesses in the state of Florida are small businesses accounting for 44% of private sector jobs. These types of businesses form the backbone of the U.S. economy, representing 98% of all U.S. businesses. A 2013 study showed Miami as a powerful economic engine with the highest rate of entrepreneurial activity in the country. Eighty-six percent of U.S. millionaires are self-made, with 21% gaining their wealth from the sale of a business. Many of the most entrepreneurial innovators are immigrants. Despite accounting for only about 13 percent of the population, immigrants now start more than a quarter of new businesses in the U.S. More than 20 percent of the 2014 Inc. 500 CEOs are immigrants. Many students will emerge from the program to found their own companies. Others will be early-stage employees by joining a startup team, or they may develop a business idea in their free time, becoming "second job entrepreneurs." Graduates will also be valued as top “intrapreneurial” employees at large enterprises, based on the strength of their entrepreneurial outlook and skills. Advisors are available to answer your questions regarding the Business Entrepreneurship program. Monday - Thursday, 8 a.m. - 4:30 p.m.